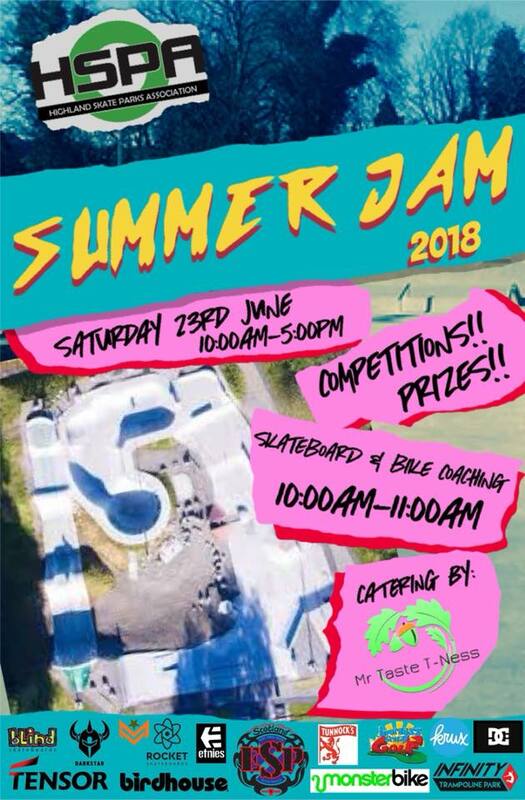 Highland Skate Parks Association have got the annual Summer Jam coming up on Saturday 23rd June 10am – 5pm. Various prizes up for grabs etc! Food, music etc. Find out more on the HSPA Facebook page.